The idea of a technique is in filling folds through micropunctures on skin. Fillers are harmless, such as hyaluronic acid which dissolves over time, returning face former elasticity and youth. One of the advantages of hyaluronic acid is that it is multifunctional. It fights against different types of wrinkles, it is a fine humidifier and it perfectly gives volume. Usually, cream-anesthetic like EMLA is put on the treated area in the office of the doctor one hour before the procedure. In exceptional cases anesthesia is necessary. 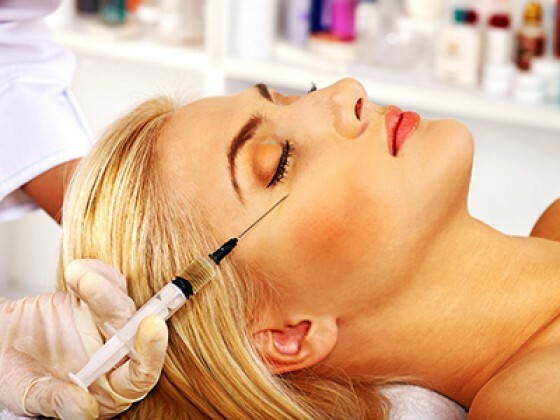 Procedure duration is on average from 10 to 20 minutes. The procedure is painless. Filler starts to work immediately and the patient can control the received result. Depending on quantity and area, filler can lasts from 3 months to 18 months. The effect will depend on a filler dose, anyway, the patient will be able to repeat the procedure without any risk at any time. Right after the procedure, the patient can be in public. Little bruises can appear in the area of injections; small edemas are also possible for several days. It is necessary to wait several days to see the final result. Extremely seldom, filler can dissolve within several weeks, in that case it isn’t recommended to repeat the procedure. During preliminary consultation doctor Durand will explain you everything and answer all your questions. The exact price of the procedure will be specified at the end of the consultation. As any cosmetic procedure, contour plastics is taxable by VAT 20%. You’ll pay for the procedure plus VAT. The average cost of the procedure is from 250 euros.